Fight For truth. Stand For truth. Speak For truth. My truth can never change as I can never be less than the fulness of your true god. I breathe my vows for my words are truth, they are life and righteousness. I cannot change the truth of righteousness for the sake of those who seek new precepts to justify their desires or fill a worldly destiny of their own. Just as far as the universe is one side of eternity to the other in a space and time that never ends and always is expanding, truth must be aligned. It cannot sway, it cannot shrink or change, it can only grow in greater truth. 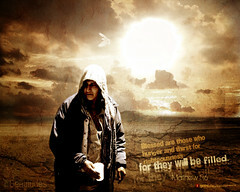 Wander from truth and you forfeit that inheritance which is already yours. Come back to truth if you have wandered in sinful nature yet having repudiated the sins of perdition, and forgiveness is already yours. My moments’ pleasures are far greater than those offered by a sinful nature, for my moments are forever. Seek the pleasure of a godly nature that is of me, your true God, that I give you a peace in your heart that none can steal, for you know of the truth and know that it takes you from this life to life in eternity. Bury yourselves into the heart of my words, for they breathe and flow with the blood of the lamb. There in you find the treasures of truth and pleasures that I nourish you and clothe you for all that is for life and of truthful spirit. I offer the unblemished fruit of the flesh, a gift to be given and received of those who have come together as one, that they might fulfill that sacred truth of one flesh, a giving of oneself in a sweet and sacred sacrifice to another. I give you the truth of all realms, that you might know the place of my kingdom. This entry was posted in prophecy and tagged Bible prophecy, Christ, Christianity, Eternal life (Christianity), God, HolySpirit, Jesus, Prophet, Religion and Spirituality, Righteousness. Bookmark the permalink.